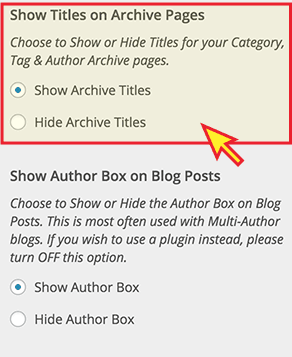 Use this guide to learn how to customize the various settings for your blog posts, featured images, author boxes and more. 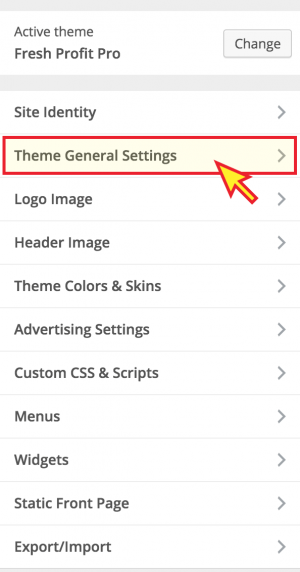 To get started, you will go to Appearance => Customize to access the customizer and live editor, and then select Theme General Settings from the menu options. 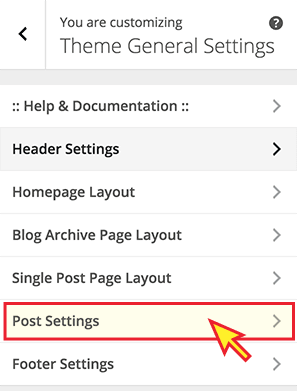 Next, select the Post Settings from the menu items. 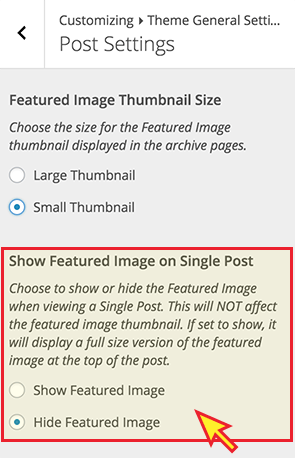 Your first option is to choose the Featured Image Thumbnail Size. 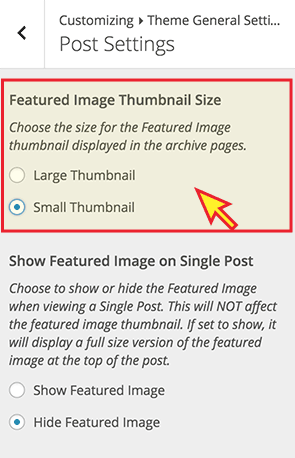 This thumbnail is shown on all your archive pages including the homepage if you are using the default WordPress setting to show blog posts as the home page. Fresh Profit Pro gives you the option to Show Featured Image on Single Post pages, or to hide the image. This is the same Featured Image that shows as the thumbnail. Some users prefer to not show the featured image at the top of the post, and instead will add other images into the post text. Others prefer to have a big featured image at the top. You can choose by changing this setting. Next, you have the option to Show Titles on Archive Pages, or to hide these titles. These would be the titles you see when viewing archive pages like your Categories, Tags, etc. 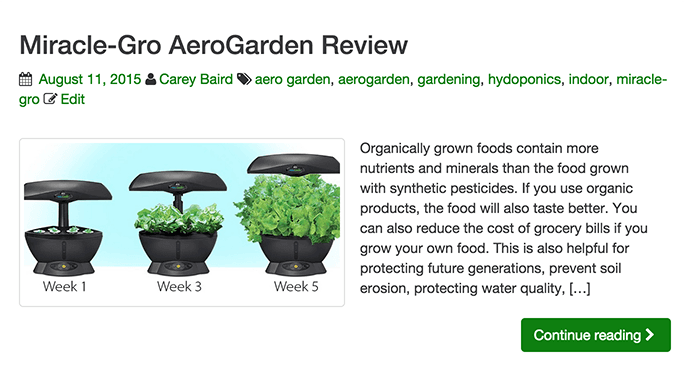 For example, if you clicked on a tag archive it might say “Archives for tag: gardening”, or your author archives might say “Archives for author: Carey Baird”. This option allows you to show these titles, or hide them completely – it’s your choice. 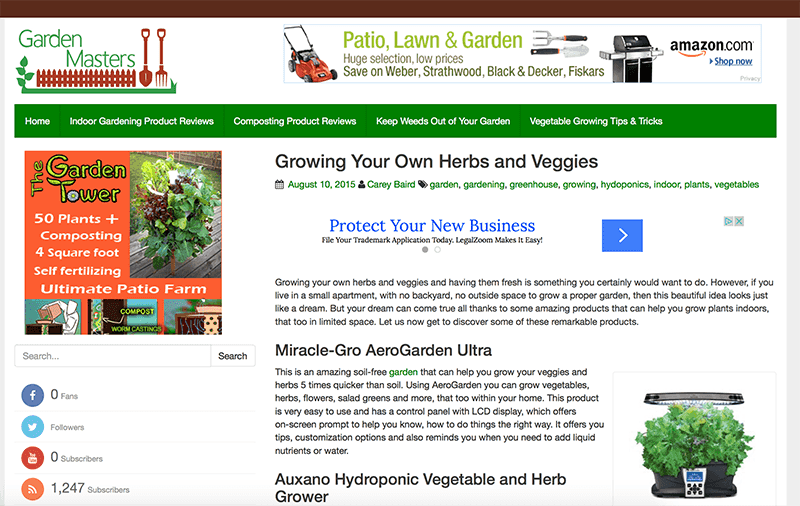 And lastly, Fresh Profit Pro is setup to Show Author Box on Blog Posts. If the author username has an email with a Gravatar attached, it will show that image. If you have filled in the description on the user profile, it will display. 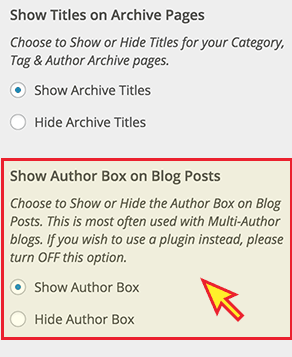 Some folks prefer to not show an author box, or they wish to use another plugin with additional features. If you dont wish to display the author box, simply turn it off here. You have now completed all the configurations for the Blog Post Settings. 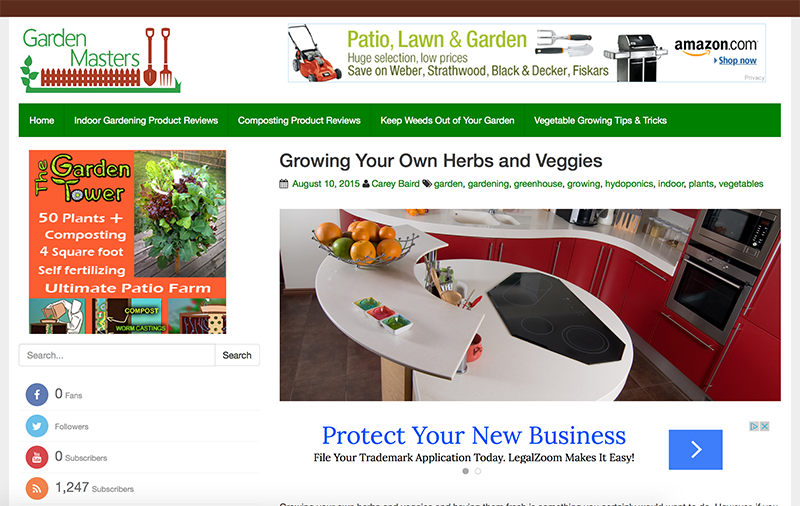 Please see the main Fresh Profit Pro WP Theme Documentation guide for links to additional training articles.